Marketing strategists rejoice! 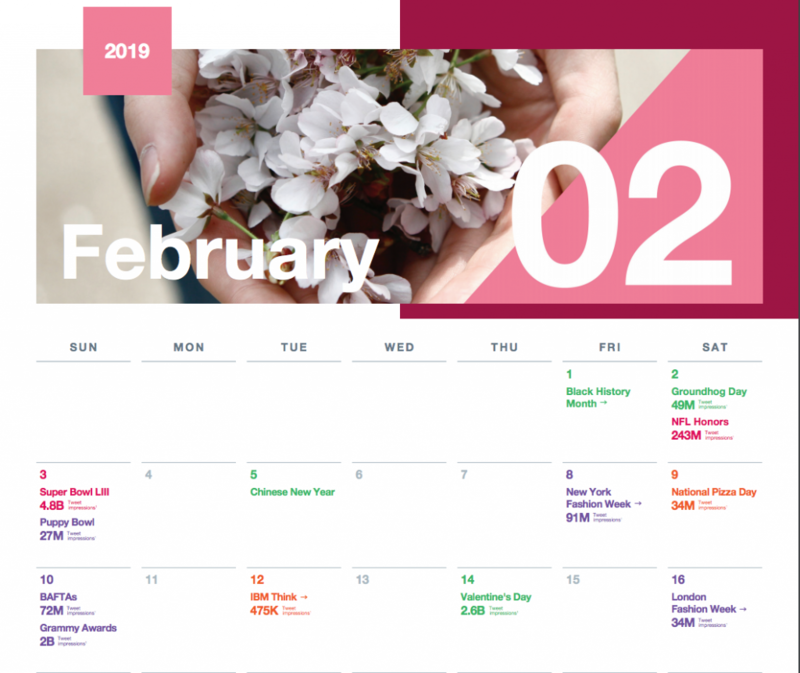 A new must have Twitter 2019 major events calendar highlights all the key dates marketers can tap into — from the obvious to the niche. And it includes the number of Tweet impressions they’re expected to reach. Wow! This exactly what I need. This Twitter 2019 major events calendar will help us improve our Twitter impressions. Thank you for sharing.